Nia tones your body and tunes your mind, leaving you energized, mentally clear, and emotionally balanced after every workout. 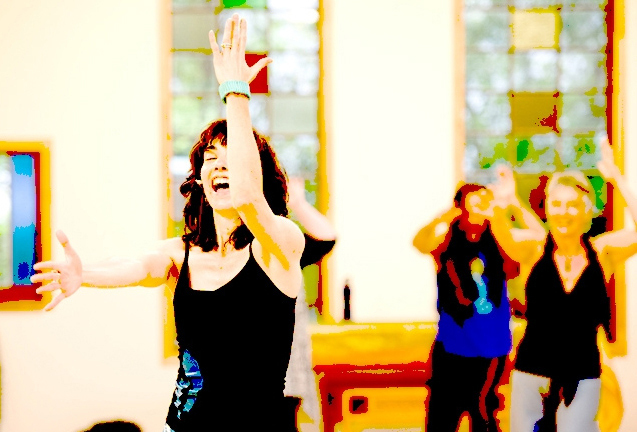 The practice combines simple movement patterns with the energy of the dance, martial and healing arts to get you feeling good, having fun and getting fit in 60 minutes. Personally, Nia has tuned me into the power, joy and pliability of moving my body in pleasure and living my life with purpose - an empowering movement and life practice. An exhilarating 60-minute cardiovascular conditioning class based on the science of hybrid interval training. You’ll shift from one move to the next every 60 seconds, progressively moving through the fundamentals of your Nia practice - the 52 Moves. Beginners with little or no movement skill and seasoned athletes alike enjoy the benefits of isolating moves and integrating the whole body. Creative. Fun. Total body conditioning. Personally, Move IT taps into a limitless creativity in conditioning - for both my body and brain - minute by minute. I love honing movement skill of each of the 52 moves of Nia and coaching students to success. Experience gentle, mindful, self-healing movement as you are guided through five stages of human development – embryonic, creeping, crawling, standing and walking. Re-align, energize and condition your body, mind, emotions and spirit. Move better, feel better from the ground up. Personally, the 5 STAGES has added a fluid grace to my movement, strengthened my upper body and re-aligned my spine, allowing me to rise up and down with ease. I have replaced chiropractic visits with a mindful, 5-minute daily practice. Nia’s Moving to Heal class experience supports people looking for a gentle approach to Nia and for those dealing with a wide range of therapeutic issues from injury, trauma, grief, short-term to long-term illness. Learn to slow down and personalize movement to fit your body’s way while focusing on feeling better. Improve feelings of wellness regardless of physical condition. Beginners welcome. Personally, Moving to Heal is an opportunity to hold the space for slowing down, tuning in and tracking the sensation of feeling better, move by move, breath by breath. A barefoot conscious dance experience designed to awaken the movement artist within, stimulating movement creativity. Participants are guided to explore their own movement and dance, in their own way and time own time to soul-stirring music, eclectic sonic landscapes that provide cellular resonance and evoke self-expression. 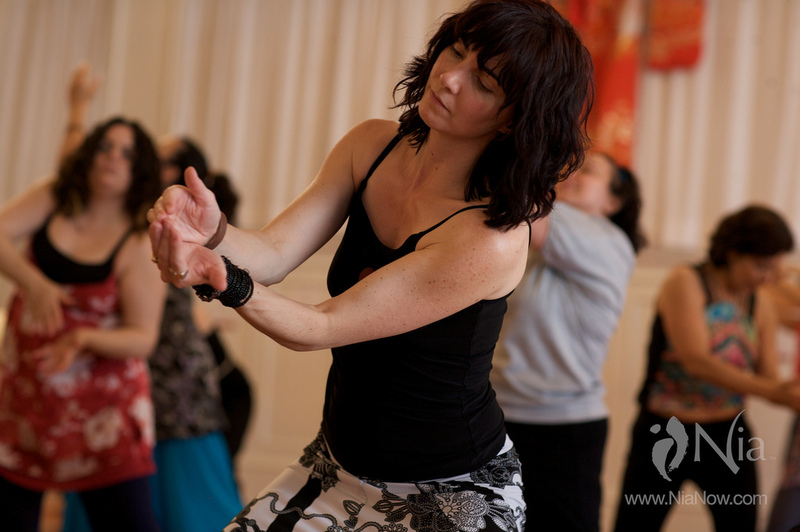 The 8 Stages of Nia's FreeDance practice provide the frame for integration of the body, mind, emotions, and spirit - free of choreography - yet with a unique focus for each class experience. Leave feeling expanded and with that you’ve ‘danced like no one is watching’ sensation! Yoga is an ancient healing art of blending body, mind and breath. It cultivates strength and flexibility through the alignment of physical postures, known as asanas. Yoga centers the mind through awareness, being present, and honoring one’s spirit. Personally, yoga is an alignment of energy from the inside out, connecting me to the power of presence, the power of stillness and power of moving body, breath and spirit. In-depth movement and body education experiences tailored to everybody - movers, Nia belt graduates, teachers or communities. 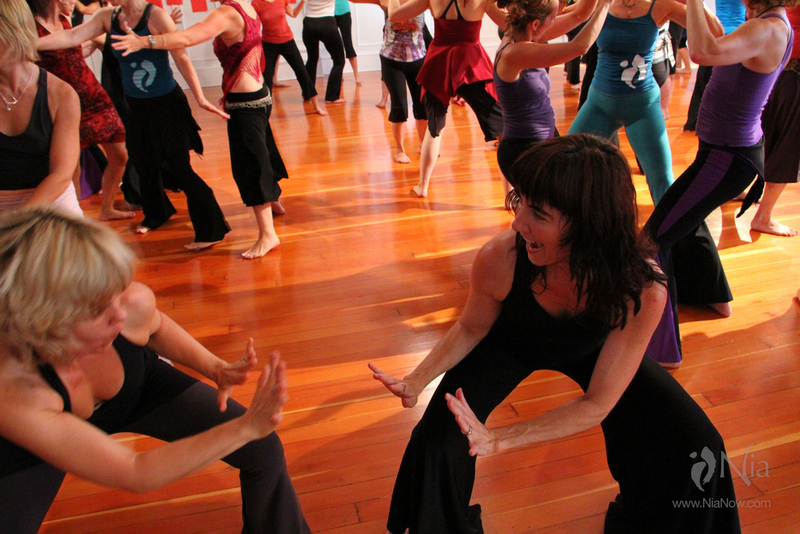 Experiences draw upon: Nia, 52 Moves, 5 Stages, Moving to Heal, Yoga.